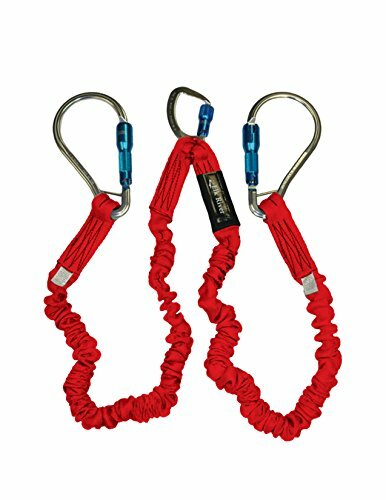 Elk River Flex-NoPac energy-absorbing 2 leg polyester web lanyard. 3600 lbs gate. The new ANSI Z359.1-2007 Compliant. Connector: zsnaphook, aluminum rebarhook. Stretches 4-1/2-feet to 6-feet. Measures 6-feet length by 1-1/2-inches width.